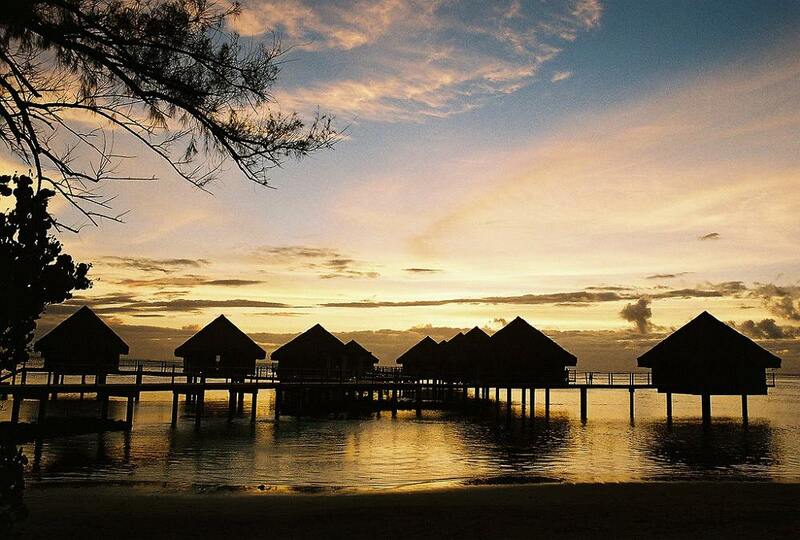 Le Meridien Tahiti is a modern and luxurious resort offering you the opportunity to awaken each of your senses. The resort offers an unique experience at the edge of a lagoon on one of the island's most beautiful white sandy beaches. Located along a lagoon on the most beautiful and unique white sandy beach of Tahiti, this authentic resort has been entirely redesigned in 2010. Perfectly integrated into the luxuriant vegetation of the island, Le Meridien Tahiti reveals its large contemporary rooms, inviting open air lobby and refined restaurants and bars in a stylish relaxed atmosphere. The resort features colorful standard rooms overlooking lush gardens, contemporary yet chic guest rooms with endless views on the crystal clear lagoon, spacious junior and senior suites with large open terraces, and exclusive Polynesian-style overwater bungalows – all with full facilities, ie: 'le Meridien Beds', flat screen TV, wifi, minibar. Le Carré, gourmet restaurant, offers delightful and creative cuisine. La Plantation restaurant proposes a variety of Polynesian and international specialties. Pros: Dramatic entrance architecture. Wonderful sunsets. Impressive Polynesian live shows. Cons: If you're just staying 1 night, before heading to the outer islands (as many people do), it's a fair drive from the core of Papeete.